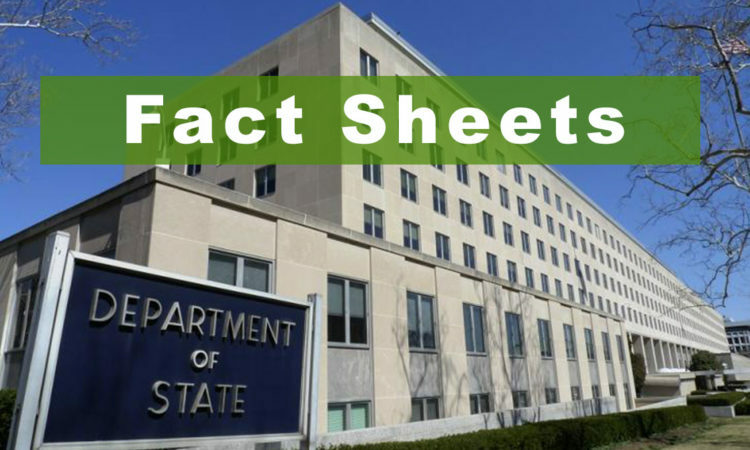 Today’s release of the 18th edition of To Walk the Earth in Safety, the Department of State’s annual report summarizing the accomplishments of the U.S. Conventional Weapons Destruction Program, highlights our enduring commitment to making post-conflict communities safer and setting the stage for their recovery and development. We, like all States, desire a successful outcome to this GGE. We have sought to contribute to a successful outcome by participating actively in these discussions, including with representatives from our Defense Department and The submission of Several working papers. I’m taking the floor to put on the record my government’s strong opposition to a representative of the former Maduro regime occupying the seat reserved for Venezuela. The United States currently holds the chairmanship of MASG, a group of over 30 donor states working together to coordinate humanitarian mine action programs and increase mine action where it is most needed. "The United States remains committed to effective arms control that advances U.S., allied, and partner security; is verifiable and enforceable; and includes partners that comply responsibly with their obligations." Today we held talks with a Russian delegation on the Intermediate-Range Nuclear Forces Treaty. We’ve discussed our concerns about Russia’s longstanding violations of the Intermediate-Range Nuclear Forces Treaty for many years now. Since 2013, the United States has raised its concerns with Russia regarding Russian development of a ground-launched cruise missile (NATO designator: SSC-8, Russian designator: 9M729) with a range capability between 500 and 5,500 kilometers on repeated occasions. The United States, France and the United Kingdom look forward to continuing to engage constructively and pragmatically with other UN Member States in order to strengthen the safety, stability, security, and sustainability of outer space activities. 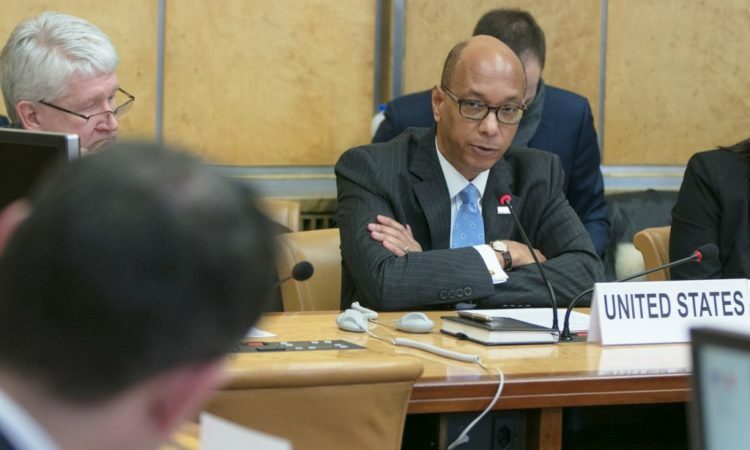 The Sixteenth Session of the Bilateral Consultative Commission under the U.S.–Russia New START Treaty was held in Geneva from October 10–18, 2018. Meeting of the CCW Group of Governmental Experts on Lethal Autonomous Weapons Systems. Meeting of the Group of Governmental Experts on Lethal Autonomous Weapons Systems. Meeting of the Group of Governmental Experts of the High Contracting Parties to the CCW on LAWS. As we exit the Iran deal, we will be working with our allies to find a real, comprehensive, and lasting solution to the Iranian threat. As we approach the NPT’s 50thanniversary, the United States reaffirms its commitment to promoting the peaceful uses of nuclear energy in accordance with Article IV of the Treaty and in support of the development goals of NPT Parties. The international community has struggled for decades with the problem of how to achieve the total elimination of nuclear weapons. Today, we open this Preparatory Committee as part of the NPT’s review cycle, meeting in Geneva – the lovely “second city” of the auspicious United Nations organization that a traumatized but hopeful international community built at the close of the last and most horrible of the global conflagrations that convulsed the 20th Century world. The United States of America has tried repeatedly to use diplomatic, economic, and political tools to stop the Assad regime’s use of chemical weapons. The goal of this presentation is to increase understanding of how autonomy in various functions can enhance the ability of weapons serve their intended, legitimate, purposes while also supporting humanitarian interests on the battlefield In this case, helping protect people and installations against attacks by rockets, artillery, and mortars. 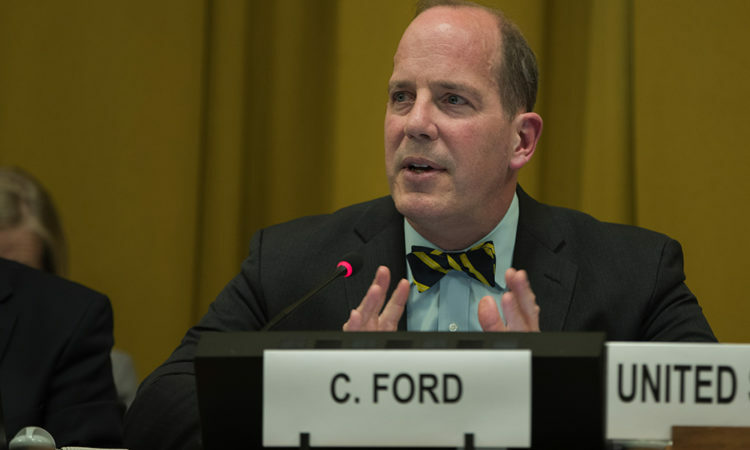 Ambassador Wood: "The international community is at a critical juncture in the fight to uphold the international norm against chemical weapons use." The United States of America and the Russian Federation have implemented the Treaty on Measures for the Further Reduction and Limitation of Strategic Offensive Arms (New START Treaty) for seven years. February 5, 2018 marks the date that the Treaty’s central limits on each country’s strategic nuclear arsenal take effect. Welcome to the 2018 Nuclear Posture Review rollout, or as we refer to it here at the Pentagon, the NPR. The Thirty-First Session of the SVC under the INF Treaty took place in Geneva, Switzerland, December 12-14, 2017. Since declaring the Russia Federation in violation of the INF Treaty in July 2014, the United States has pressed the Russian Federation repeatedly to return to compliance with its obligations under the Treaty. The Intermediate-Range Nuclear Forces (INF) Treaty is a pillar of international security and stability. It has contributed to managing strategic competition between the United States and the Russian Federation and is critically important to the security of U.S. allies and partners globally. 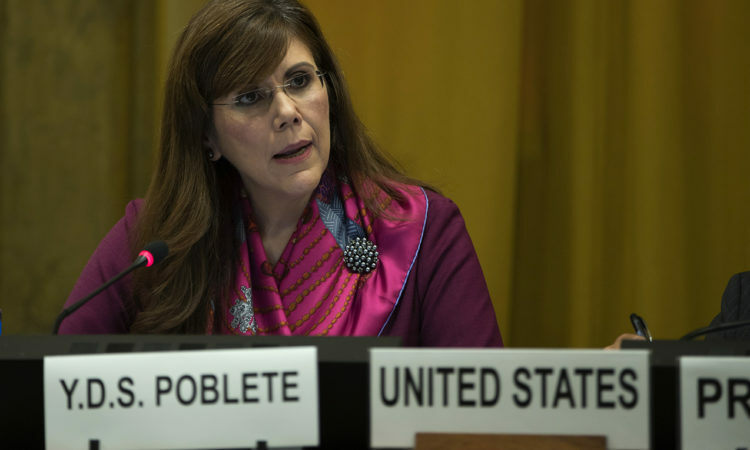 The United States believes that hearing High Contracting Parties' experiences regarding issues related to the convention is vital to our work. The U.S. recognizes the serious threat that improvised explosives devices (IEDs) present around the world and the need for coordinated action to combat that threat. Mr. President, the United States has been a strong and steadfast supporter of international efforts to eradicate explosive remnants of war. We support continued discussion of LAWS within the CCW and would support a continuation of the current GGE mandate next year. The United States places great importance on the weapon review process in the development and acquisition of new weapon systems. The Syrian regime violated international law, including the Chemical Weapons Convention. We condemn this heinous act and demand that the Syrian regime immediately cease any and all use of chemical weapons and finally declare to the OPCW all chemical weapons that it possesses. President Trump: "Together, we dream of a Korea that is free, a peninsula that is safe, and families that are reunited once again. We dream of highways connecting North and South, of cousins embracing cousins, and this nuclear nightmare replaced with the beautiful promise of peace." The United States is a High Contracting Party to the Convention on Certain Conventional Weapons (CCW) and all of its Protocols. We view the CCW as an important instrument that has brought together States with diverse national security concerns. It is a fundamental goal of the United States to create a climate in which all States can enjoy the benefits of cyberspace; all have incentives to cooperate and avoid conflict; and all have good reason not to disrupt or attack one another – a concept we call international cyber stability. Regional approaches provide important avenues to further disarmament, security and nonproliferation objectives. The United States has taken many steps to reduce the number of, and reliance on, nuclear weapons, doing so in ways that preserve strategic stability. 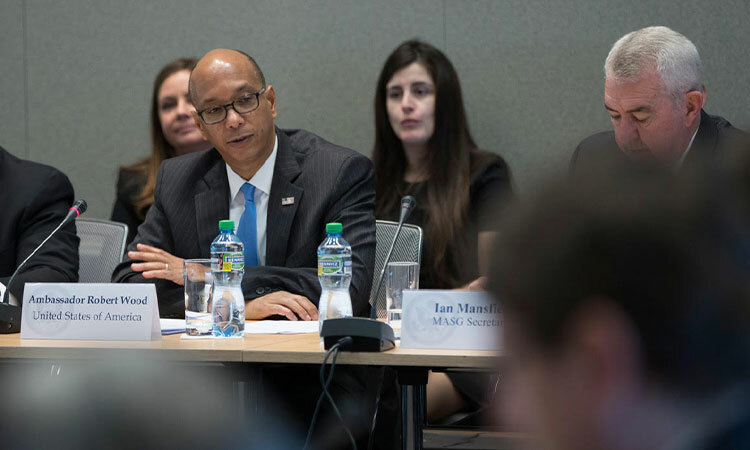 The United States remains committed to strengthening the sustainability, stability, and security of space. The cooperative goals of the Partnership are essential ones to nuclear disarmament, namely identifying the complex technical challenges required for verification, and developing potential technologies and procedures to address them. 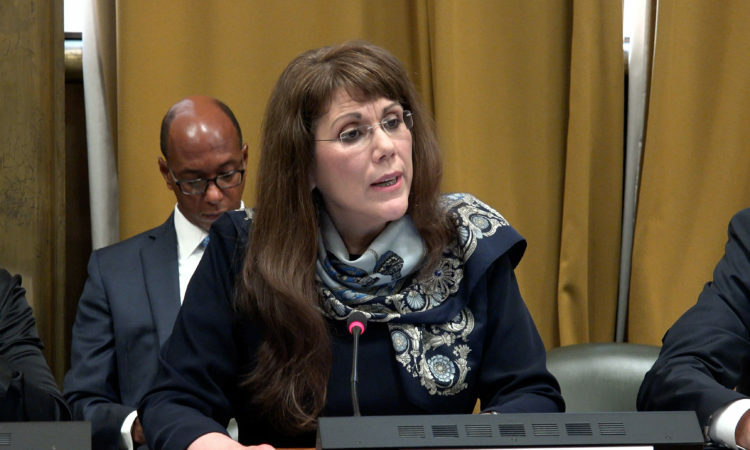 Acting Assistant Secretary of State for Arms Control, Verification and Compliance Anita Friedt hosted an event updating the UN First Committee on the work of the International Partnership for Nuclear Disarmament Verification (IPNDV). "Ultimately, we each have a sovereign responsibility to ensure that we keep the world safe from nuclear warfare, the aftermath of which will transgress all borders. The United States will continue ... to work to halt the proliferation of nuclear weapons. We ask all peace-loving nations to join us in this mission." "I want to begin, first, by extending our condolences to all those who have suffered, continue to suffer, from the devastation from the natural disasters that we are witnessing around the Western Hemisphere..."
Speaking at the United Nations Office at Geneva before the Conference on Disarmament, Captain Murzban Morris of the U.S. Joint Chiefs of Staff J5 Strategy and Policy Division described U.S. military defense measures in the face of North Korea’s WMD and missile threats tot the international community. The United States fully supports Georgia's sovereignty and territorial integrity within its internationally recognized borders and rejects Russia’s recognition of Abkhazia and South Ossetia. 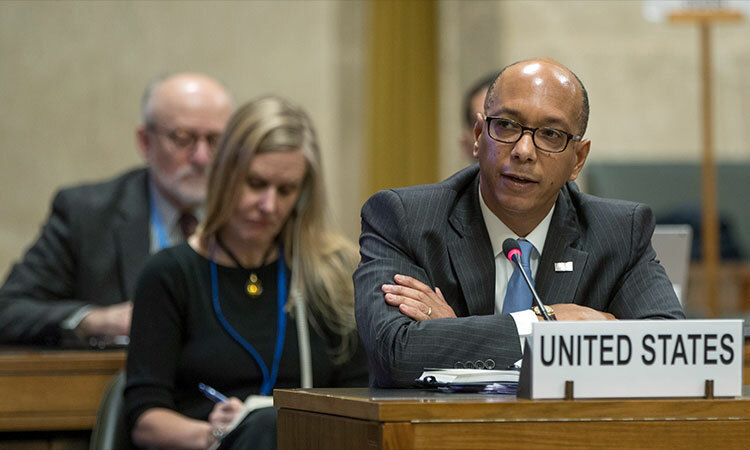 The United States is fully committed to responsible nonproliferation and disarmament efforts and to the Nuclear Non-Proliferation Treaty. Secretary Tillerson: "Testing an ICBM represents a new escalation of the threat to the United States, our allies and partners, the region, and the world." Ambassador Wood: "I want to welcome all the partners in attendance here this morning to Geneva. I am thrilled to host another joint working group meeting here at the U.S. Mission." 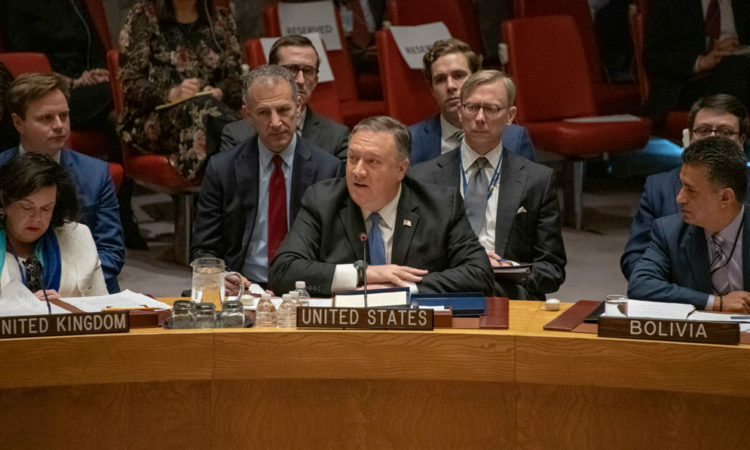 The United States reaffirms the critical role of the NPT in enhancing the security of all States Parties and promoting regional security and stability. As we look toward the fiftieth anniversary of the Non-Proliferation Treaty, it is important to recall the successes we have achieved and challenges we have faced in advancing our shared nonproliferation goals. The United States remains committed to the implementation of all provisions of the NPT, including Article VI, and to the steadfast pursuit of the Treaty’s objectives. Data in this Fact Sheet comes from the biannual exchange of data required by the Treaty. “To Walk the Earth in Safety” documents the United States’ commitment to conventional weapons destruction programs, supporting stability around the world. The United States places great value in the Conference of the Convention on Certain Conventional Weapons (CCW) as an international humanitarian law (IHL) treaty framework that brings together States with diverse security interests to discuss issues related to weapons that may be deemed to be excessively injurious or to have indiscriminate effects. The Thirtieth Session of the Special Verification Commission under the Treaty Between the United States of America and the Union of Soviet Socialist Republics on the Elimination of Their Intermediate-Range and Shorter-Range Missiles (INF Treaty) took place in Geneva, Switzerland, November 15-16. This Conference should state unambiguously that use of biological weapons under any circumstance is unacceptable, that allegations of such use should be investigated promptly, and that those responsible for the use of such weapons will be held accountable. 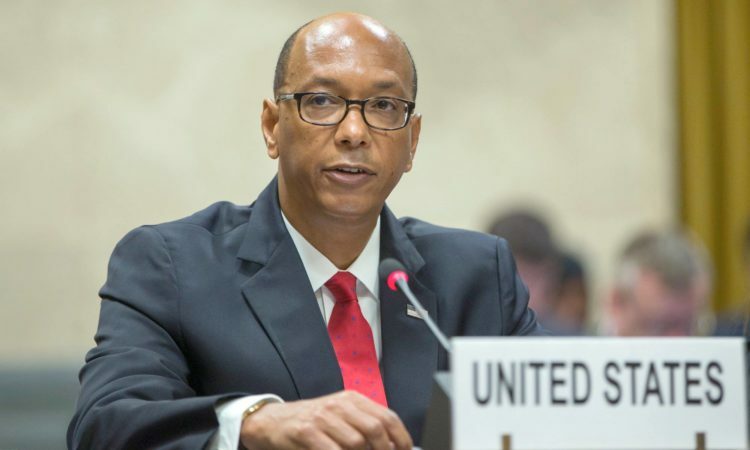 Acting Under Secretary Countryman will join the U.S. Delegation to the 8th Biological Weapons Review Conference in Geneva, Switzerland, November 7-10. The Foreign Ministers look forward to the Eighth Review Conference of the Convention in November this year agreeing on substantive measures that will significantly strengthen the Convention and contribute in a measurable way to reducing the threat of biological agents being used as weapons. President Obama: "We must reject any forms of fundamentalism, or racism, or a belief in ethnic superiority that makes our traditional identities irreconcilable with modernity." 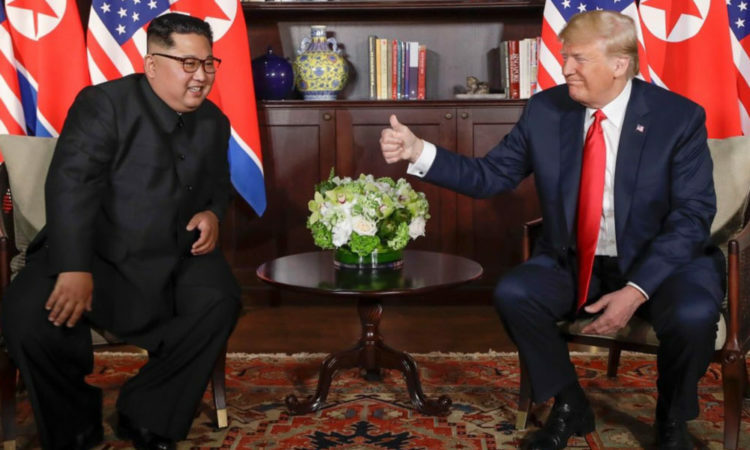 The United States call on the DPRK to refrain from actions and rhetoric that further raise tensions in the region and focus instead on taking concrete steps toward fulfilling its commitments and international obligations. In this interview, the co-chairs of the three IPNDV working groups explain the value of the Partnership and the focus of each of the working groups which met in February 2016 in Geneva. Today, on the ground in Syria and in Iraq, ISIL is on the defensive. 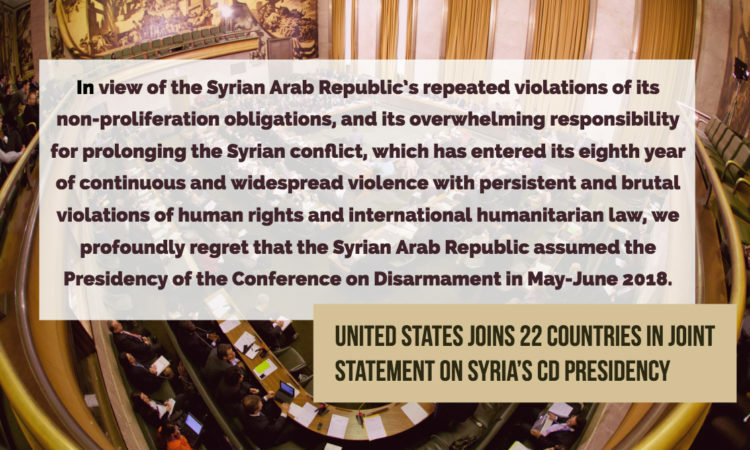 Our 66-member coalition, including Arab partners, is on the offensive. We have momentum, and we intend to keep that momentum. The United States recognizes that it is important that the CCW discussions take up the moral or ethical issues related to the use of autonomous capabilities in weapon systems. However, we must be very clear in distinguishing between what constitute ethical considerations on the one hand and legal requirements on the other. We would like to take this opportunity to share our views on what a comprehensive weapon review process should entail for weapons with autonomous functions. To be clear, when I refer to a weapon review process, I am referring to more than a legal review of a weapon system. We would like to take this opportunity to explain what we mean by “appropriate levels of human judgment” as well as aspects of our policy that ensure appropriate levels of human judgments are capable of being exercised in the use of autonomous and semi-autonomous weapon systems, including potential LAWS. The United States remains very supportive of discussing LAWS in the CCW. Like we said earlier, we think we are making good, incremental progress, but it is important to continue increasing our understanding about LAWS rather than trying to decide possible outcomes. We believe that LAWS is a complex subject that requires in-depth, substantive discussions. The United States is the world’s single largest financial supporter of efforts to address humanitarian hazards from landmines and unexploded ordnance in post-conflict countries and to reduce the availability of excess, loosely-secured, or otherwise at-risk weapons and ordnance. Secretary Kerry: "In the six years we’ve been meeting – first in Washington, then in Seoul, then the Hague, and now back in Washington – we can actually point to real, tangible achievements in nuclear security." The UN Security Council unanimously adopted Resolution 2270 (2016) to impose additional legally binding sanctions on North Korea (DPRK) in response to its fourth prohibited nuclear test on January 6, 2016, and its prohibited launch, using ballistic missile technology, on February 7, 2016. The U.S. support for the Partnership is a reflection of our commitment to the goal of a world without nuclear weapons – a goal that President Obama outlined in Prague in 2009. Today marks the five-year anniversary of the New START Treaty, a landmark arms control agreement that has put both the United States and Russia on track to reduce our nuclear stockpiles to their lowest levels since the era of Eisenhower and Khrushchev. The PSI is a multinational effort to counter the proliferation of WMD. 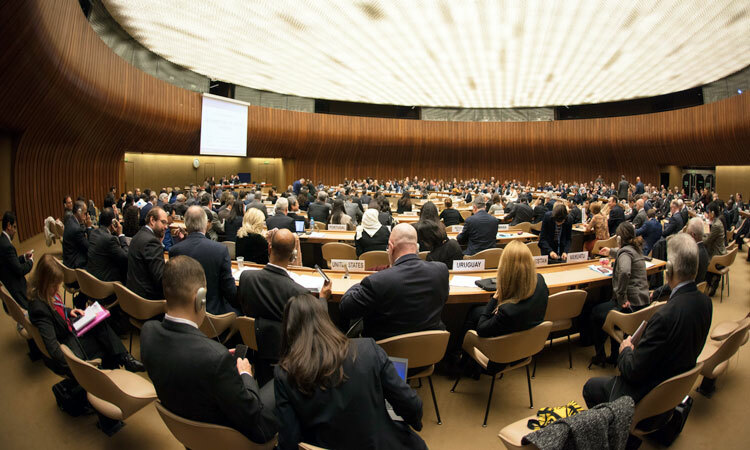 States participating in the PSI – 105 thus far – publicly commit to take specific actions to impede and stop shipments of WMD, their delivery systems, and related material to and from state and non-state actors of proliferation concern. A secure, direct bilateral link with Ukraine is extremely valuable to both parties, especially in today’s fast-moving and saturated information environment. 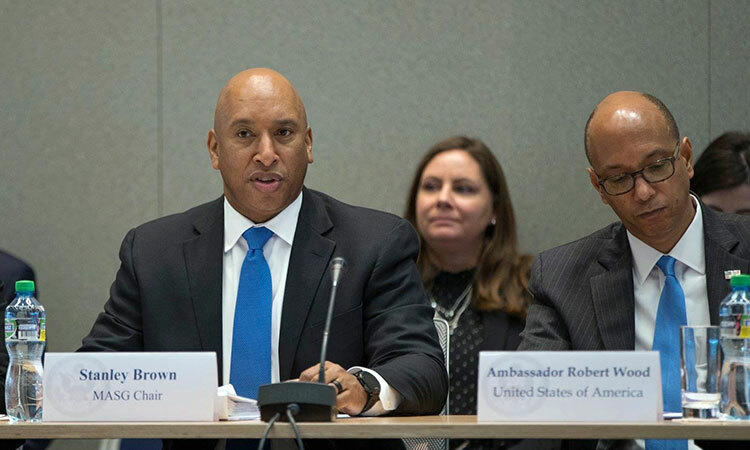 Assistant Secretary Rose gave this interview following a roundtable discussion hosted by the U.S. and Norwegian Missions in Geneva on 23 November 2015. 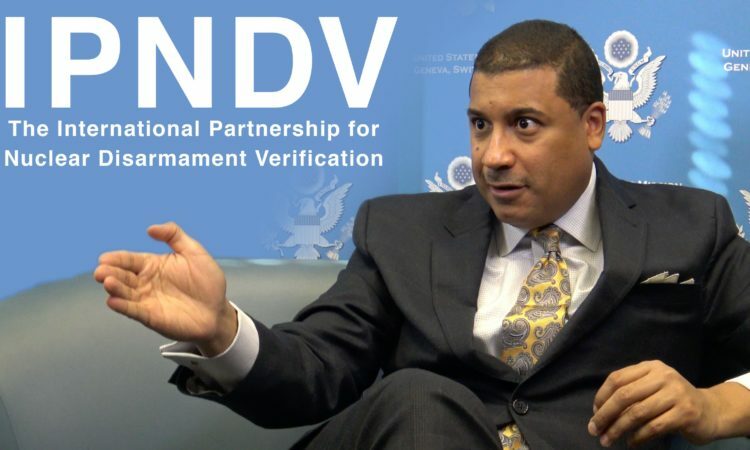 The IPNDV provides a forum for countries that are serious about making tangible progress on disarmament to work together toward that common goal. 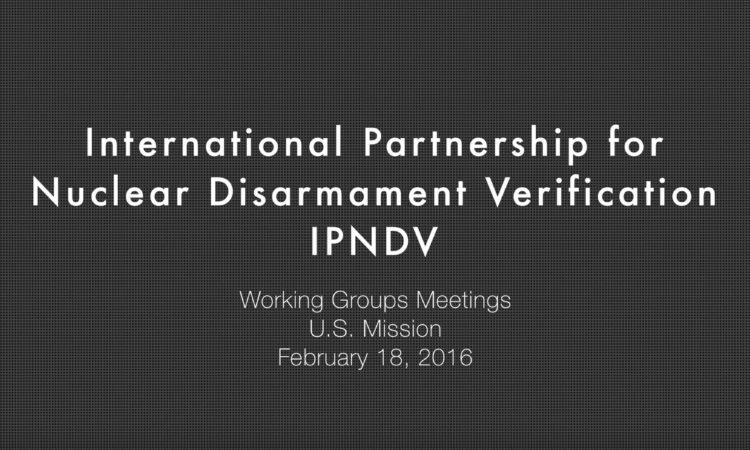 IPNDV brings together both nuclear-weapon and non-nuclear weapons states under a cooperative framework to find solutions to the challenges involved in the verification of nuclear disarmament. Experts from twenty-five countries, both nuclear weapon states and non-nuclear weapon states gathered in Oslo, Norway from November 16-18, 2015 to launch the work of the International Partnership for Nuclear Disarmament Verification. Although cluster munitions remain an integral part of U.S. force capabilities, the United States is committed to reducing the potential for unintended harm to civilians and civilian infrastructure caused by either the misuse of cluster munitions or the use of cluster munitions that generate a large amount of UXO. We will continue our diligent efforts to pursue material and operational solutions that would be compliant with and ultimately allow us to accede to the Ottawa Convention while ensuring our ability to respond to contingencies on the Korean Peninsula and meet our alliance commitments to the Republic of Korea. The United States has determined that the NFP initiative fails to satisfy the GGE’s consensus criteria for a valid TCBM. 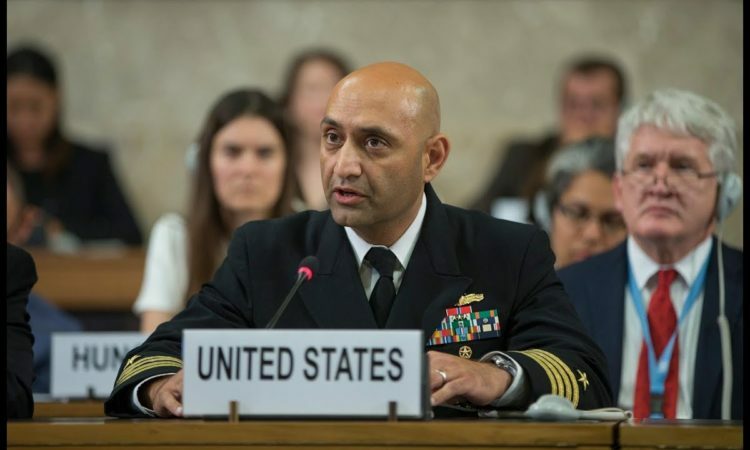 The United States continues to strongly support universal adherence to the NPT and the goal of a Middle East zone free of weapons of mass destruction and their delivery systems. The tenth session of the Bilateral Consultative Commission under the U .S-Russia New START Treaty took place in Geneva on October 7-20. I am confident in the extraordinary benefits to our national security and the peace and security of the world that come with the successful implementation of the JCPOA. "Internationally, the agreement is being backed ... by each of the more than 100 countries that have taken a formal position." But the bottom line is that under this agreement, Iran is in a much tighter box. Nuclear terrorism is the most immediate and extreme threat to global security. The Foreign Ministers welcomed the Joint Comprehensive Plan of Action (JCPOA) reached on 14 July 2015 between the E3/EU+3 and the Islamic Republic of Iran. The agreement now reached between the international community and the Islamic Republic of Iran builds on this tradition of strong, principled diplomacy. So under the terms of this agreement, Iran has agreed to remove 98 percent of its stockpile of enriched uranium, dismantle two-thirds of its installed centrifuges, and destroy – by filling it with concrete – the existing core of its heavy water plutonium reactor. The fact is that if we don’t accept this agreement, if we don’t keep with this agreement and put it to the test, year 15 or year 20 comes tomorrow, literally. "The choice we face is between an agreement that will ensure Iran's nuclear program is limited, rigorously scrutinized, and wholly peaceful, or no deal at all." The JCPOA not only met but exceeded the parameters we reached in the Lausanne Framework, putting additional constraints on Iran’s nuclear program for a number of years well into the implementation of the deal. Today we have adopted a UN Security Council resolution enshrining the Joint Comprehensive Plan of Action, JCPOA, agreed to six days ago in Vienna. Under Secretary Sherman has been a key player throughout the nuclear talks with the EU, the P5+1, and Iran over the past 18 months, and there are few people that have a better grasp of all the various technical nuclear sanctions-related and political issues that came together to get this deal. 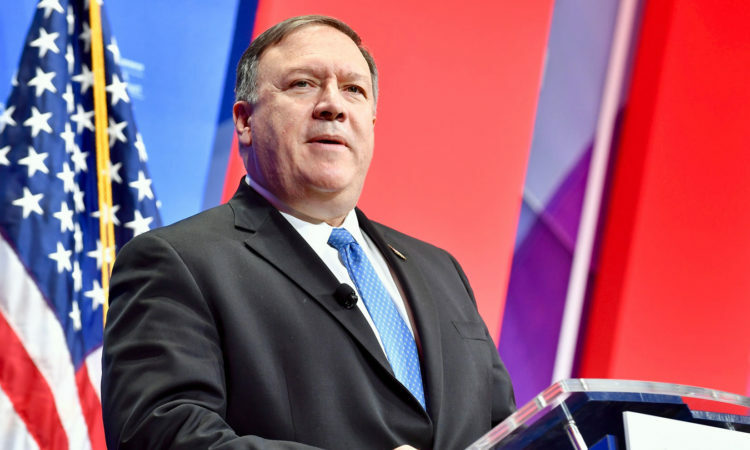 Pursuant to the Iran Nuclear Agreement Review Act of 2015, today the State Department transmitted to Congress the Joint Comprehensive Plan of Action, its annexes, and related materials. With this deal, we cut off every single one of Iran’s pathways to a nuclear program -- a nuclear weapons program, and Iran’s nuclear program will be under severe limits for many years. The full implementation of this JCPOA will ensure the exclusively peaceful nature of Iran’s nuclear program. 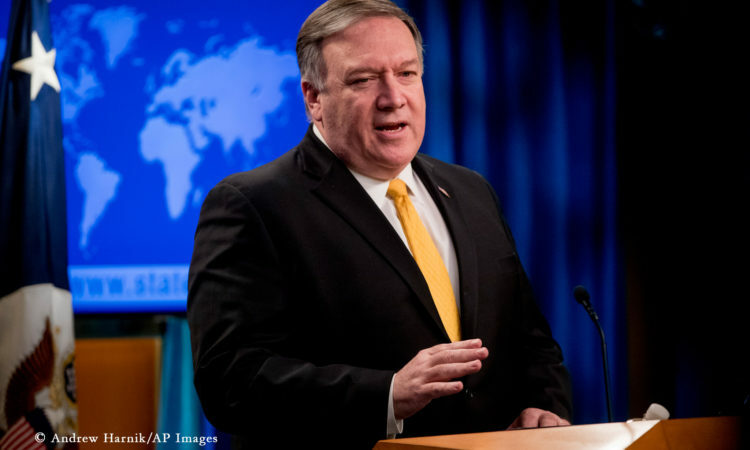 Today, in announcing a Joint Comprehensive Plan of Action, the United States, our P5+1 and EU partners, and Iran have taken a measureable step away from the prospect of nuclear proliferation. Today, the United States and our P5+1 negotiating partners, along with the EU, reached a historic, comprehensive deal that ‎addresses concerns about the Islamic Republic of Iran’s nuclear program, one of the most serious threats in the world to the security of Americans, American allies and international peace and security. This deal meets every single one of the bottom lines that we established when we achieved a framework earlier this spring. Every pathway to a nuclear weapon is cut off. For over thirty years, the nuclear issue had been the “elephant in the room,” casting a shadow over the U.S.-India relationship. But in 2005, our two countries decided it was time to tackle the elephant and advance progress the relationship– and I must say we have succeeded beyond expectations. Since the United States and Russia launched the GICNT nine years ago, all of us improved our capacity to prevent, detect, deter, and respond to nuclear terrorism. Violent extremism’s growth over the last decade is an extremely dangerous and destabilizing phenomenon. Secretary Kerry will meet with Iranian Foreign Minister Zarif on May 30 in Geneva as part of the ongoing EU-coordinated P5+1 nuclear negotiations. On May 30, Under Secretary Sherman will join Secretary Kerry in Geneva, Switzerland, for meetings with Iranian officials. Nonproliferation must be non-negotiable. There is no room under the NPT for a country to negotiate its way into becoming a nuclear-armed state. The United States is committed to ensuring the utmost respect for and adherence to human rights when it comes to the development, use, or export of any weapons system, includingany potential future LAWS. The U.S. delegation is prepared to participate fully in this week’s discussions and while we will make specific comments during the upcoming sessions, we want to take this opportunity to provide some initial thoughts about the work ahead of us. We, our P5+1, EU partners, and Iran have arrived at a consensus on the key parameters of an arrangement that, once implemented, will give the international community confidence that Iran’s nuclear program is and will remain exclusively peaceful. This framework would cut off every pathway that Iran could take to develop a nuclear weapon. Data in this Fact Sheet comes from the biannual exchange of data required by the Treaty. It contains data declared current as of March 1, 2015. Secretary of State John Kerry will travel to Lausanne, Switzerland, to meet with Iranian Foreign Minister Zarif on March 26 as part of the ongoing EU-coordinated P5+1 nuclear negotiations. The negotiation is about whether Iran can make the necessary decisions to give the world confidence that their program is peaceful. The Secretary will then travel to Lausanne, Switzerland, on March 15, to meet with Iranian Foreign Minister Zarif as part of the ongoing EU-coordinated P5+1 nuclear negotiations. "As we prepare for the Ninth Review Conference of the NPT, the United States stands ready to work with other NPT Parties to achieve a successful outcome that reinforces the vitality of this Treaty which is so fundamental to global security." We’ve made some progress from where we were, but there are still significant gaps and important choices that need to be made. Secretary Kerry on negotiations with Iran: Any deal that we would possibly agree to would make the international community, and especially Israel, safer than it is today. On February 22, the Secretary will then travel to Geneva, Switzerland, to meet with Iranian Foreign Minister Zarif as part of the ongoing nuclear negotiations. The true test of today’s accord will be in its full and unambiguous implementation, including the durable end of hostilities and the restoration of Ukrainian control over its border with Russia.